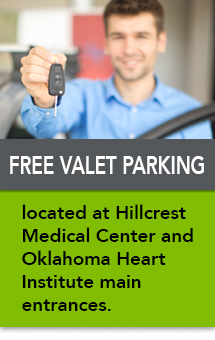 In 1986, Hillcrest opened the Tulsa Burn Center (now known as the Alexander Burn Center), the first of its kind in Oklahoma and Arkansas and only one of five in the United States. For 50 years, our physicians and staff have been providing the most advanced care for adults and children who have experienced severe chemical, electrical, scald and flame injuries. While undergoing difficult and painful treatment, our patients develop long-lasting bonds with clinical and rehabilitation staff and often feel as though they are part of the Alexander Burn Center family. Our burn center is a symbol of excellence and innovation here at Hillcrest and we are proud to be a premier leader in burn care. “Working with burn patients is my passion. When people ask me how I can do what I do day-after-day, I always reply that my reward is seeing a patient transition from being critically injured to walking out the door. There is nothing greater than knowing that I had a hand in someone else’s recovery,” shares Jennifer Knowlton, a physical therapist who has worked here in the burn center since she graduated from physical therapy school in 1992. Jennifer says, “I believe some of the strongest people I know are burn survivors. I’ve seen patients here overcome what might seem impossible! Seeing the burn survivor not only survive, but LIVE is truly an amazing thing to be a part of.” She also shares that she believes the Alexander Burn Center is Hillcrest’s “hidden gem”, stating “When you talk about changing lives, it doesn’t get any better than that in this unit! We change lives every day!” She also explains how many former burn patients have stayed in touch over the years and occasionally stop by the hospital to visit the staff.